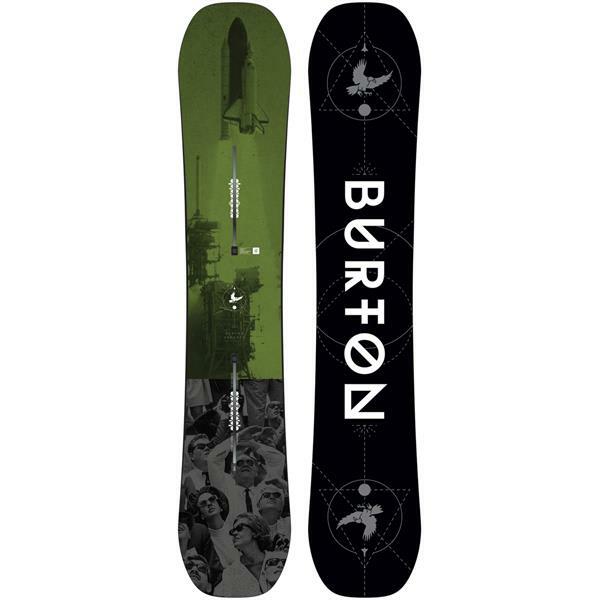 Constantly evolved to drop ounces and amplify pop, the Burton Process is Mark McMorris' pick for its twin freestyle playfulness and all-terrain prowess. The FSC Certified Super Fly II core creates a lighter, lift-off-ready deck, while Squeezebox core profiling transfers energy towards the tip and tail for snappier ollies and effortless stability. Softer flexing than the Custom, the Process is suited to the freestyle rider, but still capable of ripping the entire mountain as proven by the pros who push it. Graphic Story: "Send it to the moon" was an old time expression for really givin' er, but it might as well be Mark McMorris' motto. The graphic on his go-to board, the Process, celebrates McMorris' atmospheric launches, and will get you cued up to light the wick, too. Amazing deal i simply could not pass up.